Established in 1888, we're one of Huddersfield's most trusted and established solicitors. Our lawyers are highly qualified and can offer the advice you need face-to-face, by phone or by email. Most of us live locally and trained at the Wilkinson Woodward, so our knowledge of the local community means we can offer the best quality service, at the right price, right on your doorstep. By choosing us, you'll have the peace of mind of knowing that the quality of our work is approved and monitored by the Legal Services Commission and the Law Society. We hold their accreditations for the work that we do. A qualified family mediator and Professional Practice Consultant, Alexis helps clients and children in all areas of family mediation. Caroline is a qualified solicitor and a trained Collaborative lawyer. She is the director and manager of our Huddersfield branch. Caroline focuses solely on family law although her skills and experience cover all aspects of the subject and takes on a mix of private client and publicly funded work. Lee is a family law expert specialising in children and childcare, divorce and domestic violence cases. With more than ten years experience, Lee has built up an enormous amount of experience in all aspects of family law. Roy is a qualified solicitor with 20 years' experience, specialising in matrimonial property and finance, civil litigation and probate. He is also one of our directors. Since qualifying as a Solicitor in 1992, Roy has gained a wide legal experience 2013 much of it at Norcliffe & Co in Huddersfield, where he was a partner from 1998 until it merged with Wilkinson Woodward in 2012. He now focuses mainly on matrimonial property and finance matters, civil litigation cases and probate. 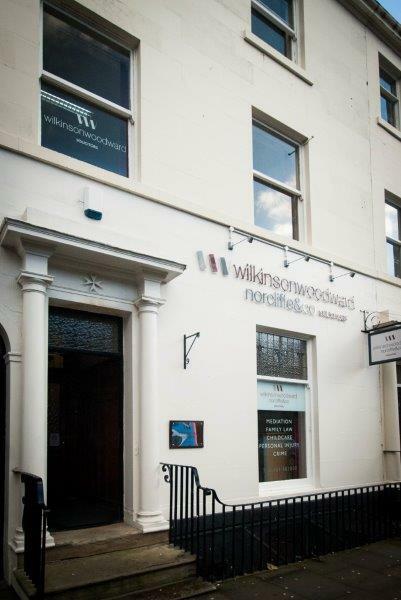 Our offices in Halifax, Brighouse and Huddersfield house a team of over thirty friendly lawyers with specialisms ranging from family law and mediation to wills, probate, commercial law and conveyancing. Initial appointments are free. Some of our work can be arranged on a fixed fee or no-win, no fee basis. Legal aid is available in some circumstances.